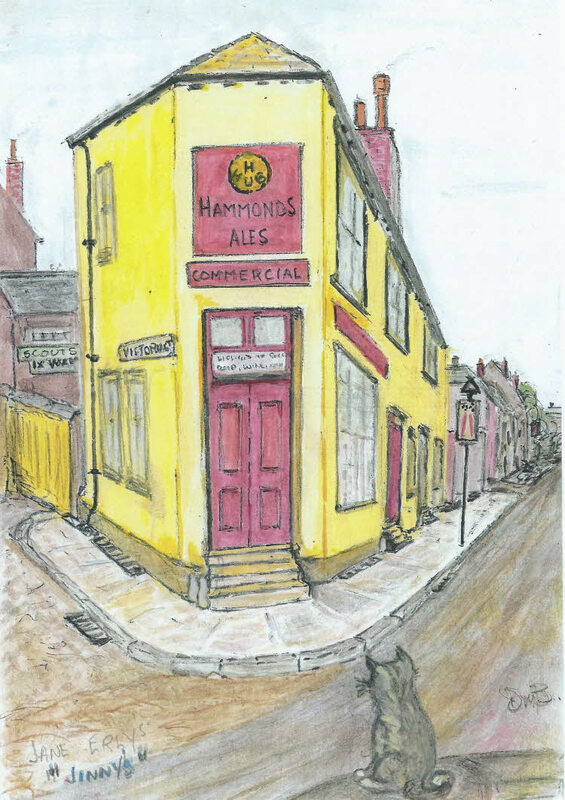 The Commercial on the corner of Horbury Road and Victoria Street was, from 1952, a Hammond Ales Public House, which was “small but popular locally.” The earliest recording of The Commercial was in 1870 and it was home, and work, for the Erly family between 1918 and February 1966, when it closed. At the time of this sketch the Pub was also known as “Jinnies”, after Jinny Erly. In June 1967 the licence was transferred to The Two Brewers (now The Malagor Thai Restaurant) on Queens Drive.